How’s your smartphone working? Is it fine, good. Well today let’s talk about the effects of rise or fall in temperature on your smartphone’s battery’s capacity and performance. At present you might be thinking that how is temperature any ways related to your smartphone, Right? because according to you, a virus can harm your device, a fall in water can but how can a rise or fall in temperature affect your smartphone anyway? Sorry to say but I have got some bad news for you. 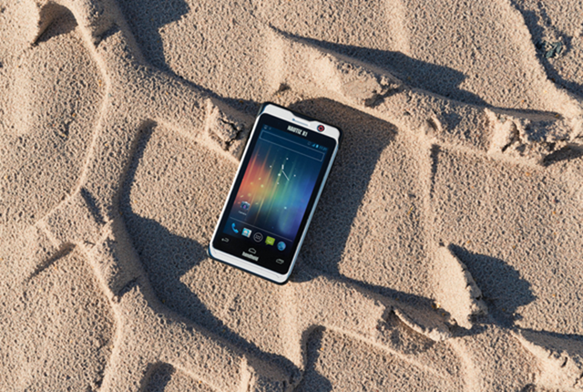 Temperature surely can affect your smartphone’s battery if its adversely high or low. Read on to know how. Well these days all the smartphones all around the world have two types of batteries. Lithium-ion batteries and Lithium-Polymer batteries . Out of these two Lithium-ion batteries are not very much friendly to a rise in temperature and can adversely harm your phone or your battery in case of high temperature. Whereas Lithium-Polymer batteries don’t have any such problem other than the fact that they are a bit on a heavier side on your pocket, that’s why most smartphone companies use Lithium-ion Batteries. Now the Lithium-ion batteries have a problem known as ”thermal runaway” due to which excessive heat promotes even more excess heat and finally leading to overheating issue. 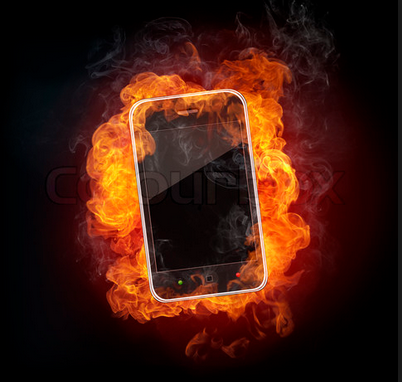 That’s why its always advisable to avoid exposing your smartphone for a long duration to heat sources such as – direct scorching sunlight, leaving your phone in a hot car, using your phone near a cooking place where there’s lot of heat, or even using your phone near machines exhaling lots of heat in a factory and etc. Battery performance is usually specified for temperatures somewhere in the + 20°C to +30°C range how so ever the actual performance can get substantially affected from this if the smartphone is operated at higher temperatures. The active chemicals expand causing the smartphone’s battery to swell. The mechanical distortion in the cell components of your smartphone’s battery may result in short circuit. Prolonged operation at high heat/temperature can even cause cracking in plastic parts of the Smartphone’s body. Pressure builds up inside the cell. The battery might eventually explode. Toxic/inflammable chemicals may be released from the battery. According to an estimate at an average temperature of 0°C, a lithium-ion smartphone battery could lose upto 6% of its maximum capacity per year. At 25°C, that number jumps to 20%, at 40°C it’s a simply exceeds a whole lots of 35% of its maximum capacity every year. So its clear by the numbers that you should clearly avoid exposing you smartphone to excessive heat. Well just like rise in temperature, a drastic fall in the temperature can also effect your smartphone’s battery. 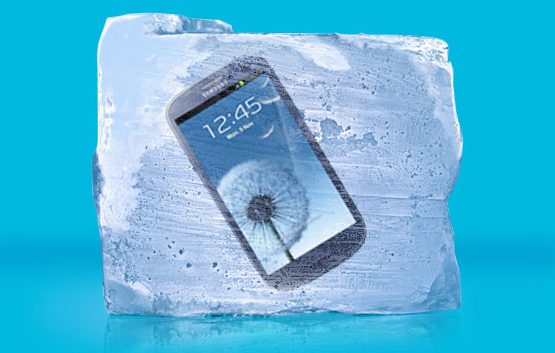 Our Smartphones are known to withstand cold temperatures in a much better way than hot. However, extreme cold temperatures/weather can also have adverse effects on our Smartphones. Recent studies have shown that many Android smartphones perform better in the cold than most Apple devices. Though it may just feel like its –40 Degrees out, recent temperatures are actually low enough to pertain negative effects on smartphone’s battery. Here are some common issues which you might face. Battery draining is one of the most instant effects of extreme cold weather/temperature. Your phones may eventually shut down with a dead battery in the extreme cold. Over time, due persistent exposure to cold temperatures can kill a smartphone battery all together. Well for sure you wouldn’t wish that to happen at all, won’t you. Because if heating causes those chemicals to burn or explode, what will freezing do. Not too sure about it, but definitely something what you would surely going to dislike afterwards. So at last my dear smart readers I would simply suggest you to avoid leaving or using your smartphone in the above conditions as You and I, we both surely wish any of the mis-happenings with your beloved smartphones. Do mention your comments and feedback in the comments section below.